Taking a vacation from blogging on any of my sites is not something that I like to do, but at this time it seems like my most practical option. And actually I'm going to be taking a summer break on all of my blogs except for Tossing It Out and even there I will be cutting back on my posting schedule. I've tried different tactics each year during my summer travels, but the fact is that if I'm preparing my posts ahead of time I'm taking up time that I desperately need for making preparations for my vacation trip and my schedule during the summer may prohibit my having enough time on the computer to post during those travel weeks. Of course this is always subject to change. I might find that I'm able to post on a weekly schedule and if that is the case I will resume my regular schedule. But this is highly doubtful. As things currently stand, my plan is to return to regular posting on this site starting September 10th. If that's how it goes, I'll see you at that time. Have a wonderful summer and be sure to keep visiting at Tossing It Out where I will announce any changes in my schedule for this blog. Dreaming about money is probably fairly common for most people. After all money is an integral part of life. Money is something we hope to get, fear to lose, and think about often. Thoughts of money typically enter our minds several times a day. We pay for things when we are out, we pay our bills, we balance our check books, and figure out our budgets. Sometimes--perhaps much of the time--money consumes us. With all of this thinking about money during waking hours it seems like a natural thing to dream about money when we are sleeping. But how does actual money appear in dreams? I'm sure this is different for each dreamer. I'll explain my dream money experiences and you can tell us how yours compares. Thinking about money hopes and fantasies. There are probably other money related dreams that you have had or heard about others having. Anything money related that we experience or hear about in waking life is something that we might be likely to dream about. One thing that I have noticed in my own dreams is that when money makes an actual appearance in a dream, that money does not look like money I would normally see in waking life. Often the money appears as old coins and currency, gold coins or something of the nature that might have come from a treasure chest, unknown foreign money, something of an unidentifiable nature that is considered to be money in the dream, or bags or wads of cash that is not of any specific currency type. In my most recent money dream... my wife has given me her purse which is full of money that she has made selling merchandise at some place where we are. I'm sitting at a table with a male friend of my daughter sitting to my right. My daughter is seated across the table from me. She hands me about eight quarters (older quarters) and asks me to give her change for them in quarters. I take the quarters she has given me and begin to count out different quarters and become confused as to what she is asking me to do. Meanwhile the young man seated next to me takes my wife's purse and says he is going to count out the money. As he begins I become exasperated with him since I am responsible for the money and don't want him to be messing with it. Then he announces that there are gold bars in the purse and pulls out about eight very shiny small gold bars that are probably a few ounces each. I distrust the young man and yet I am amazed that these gold bars are in my wife's purse. We all have feelings of wealth. This was unlike any other money dreams I have had. My most common money dreams have involved money being hidden in some place and when I awaken I usually wonder about that money and at times have even looked to see if I could find it. What kinds of money dreams have you had? Can you remember actually seeing any money in your dreams and if so what did it look like? 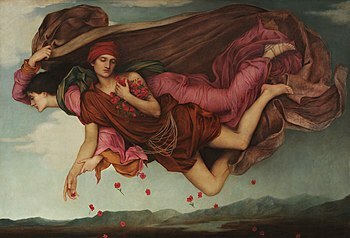 How would you interpret dreams about money? Have you been having essentially the same dream story but with different players, settings, and circumstances? What I refer to are dreams that have the same thematic content but played in the subconscious mind with variations from one dream to the next. The dreams might not be a night after night thing, but something that occurs with such frequency as to stand out. In my most recent dream of this nature I am with a combination of players from past shows that I've managed. The cast is much larger than most of the past shows I have managed. One of the cast members with whom I interact with the most in the dream is a good friend of mine from Tennessee. The production we are doing seems to be a musical comedy version of Shakespeare's Hamlet that is geared primarily toward children. As the dream memory begins, we are ready to perform at a venue that I understand to be in North Carolina. The auditorium has a full house. I briefly interact with our show sponsors and then survey the crowd, seated and awaiting the show to begin. I attempt to begin selling souvenirs, but my concession stand is in complete disarray and I have no reasonable product to sell. I decide to go backstage to get the performers ready to start. Once backstage I realize that I haven't even read the script and know virtually nothing about the show. The stage set does not seem to be set up properly and is very ragged and unprofessional looking. My actors seem confused and not particularly concerned about our production. However they all seem to know more about the show than I do. The curtain opens and the show begins. I look out to see a very large audience who seem to be excited about the show. The actors don't seem to know many of their lines and some are carrying scripts from which they are reading. There seems to be no coherent plot line to our story and the musical numbers are botched and are stopped before they are finished. Then I realize that my role is coming up. I am apparently playing the part of a king and I don an odd costume made of a bright metallic gold fabric. I have no idea what my lines are supposed to be and I can't find any script. When I go out on stage I look out to see the auditorium now nearly empty. At that point the show ends and the cast members start packing up the show equipment. The few people who have remained in the audience are now on stage chatting with us. I realize that I need to look for the show sponsors to collect our money, but I am trying to come up with an apology about the poor show and some excuse that might appease them. I awaken feeling exhausted and somewhat let down. Though I feel tired for a good while after awakening, I get my spirits roused before wakening my wife so she can get ready to go to work. My mind remained occupied with my concern about the dream and what it might mean. My best interpretation would be that there is something in my life for which I am unprepared. Or it could be a number of things or just the general state of the way I am. Part of my lack of preparedness might be concerning my upcoming summer road trip. Or more likely it could have something to do a business opportunity that I had been considering the previous day. I suppose the meaning could even be related to getting older and not being prepared for my life to end. Of course, there is always that possibility or probability that the dream has layers of meaning that includes some or all of the above or even more. Unpreparedness has often been not only a habit of lifestyle for me, but it is a fear that involves failure and humiliation. Changing some of my habits might eliminate these dreams, but then again the continuing fear of unpreparedness will probably mean these will be common dreams for me. Do you dream of being unprepared? What is a common theme that you experience in your dreams? Do you have any other interpretations of the dream I've described in this post? Have You Ever Tried Matrix Reprogramming? This post has nothing to do with the Bob Seger song "Night Moves" but the title came to mind as I was pondering the topic of today's post. In the comments you can tell me if your experience has been anything like my experience in dreaming. Typically as I go through the cycles of waking and sleeping throughout the night, the dreams that I will have seem to generally have a certain mood to them. If my dreams start out dark or frightening, they will continue like this throughout the night. Likewise if the dream mood is positive or happy then all the dreams will be of a similar vein. These dreams may not always be part of the same dream story or having a sense of continuing the narrative from one dream to the next though sometimes they will. In other words if I am awakened by something about the dream or some external stimulus, when I return to sleep the next dream phase will usually be very similar to the previous one. For example, a few nights ago I had a rather frightening dream that caused me to wake up and continue to lie awake for a number of minutes. I don't recall precisely the nature of the dream but it had something to do with gory images and the sense that someone was in my house. When I finally went back to sleep my next dream was not exactly the same though it had some elements of the previous segment. This continued throughout the night and up to my morning awakening. Each dream was essentially a scary dream though successively in each problems seemed to get resolved until my final dream on awakening was relatively tame. On examining the possible influences of my dreams I can immediately cite a similar dream topic by fellow blogger Stephen T McCarthy that I had read prior to going to sleep that night. He had a dream about intruders and since this has been something I have dreamed of in the past his story registered in my mind to the point where I obviously subconsciously carried it into my sleep. Also I had seen something on television that day that likewise influenced my dreams. These dream prompts along with whatever might have been troubling me that day contributed to a fitful night of dreaming. Most of the fitful nature of the night was due to something that had been troubling me while the prompts merely provided the dream story to accompany my mood. That mood remained consistent throughout the night. Most nights my dreams are not frightening but either disorienting or relatively pleasant. On those nights I also notice that the night mood remains consistent until I awaken in the morning. After each awakening throughout the night when I return to the dream, the mood as well as the general idea of the dream setting will be approximately the same from one dream to the next. These separate dreams are not necessarily continuations of any dream story lines, but only a consistency in the general feel of the dream. The characters and settings of each dream might be different, but the night mood seems to remain the same. Does your mood of the day or the time immediately prior to sleep seem to affect how you will feel throughout your entire night of dreaming? Do you often dream in chapters or in a sort of continuation serial type story throughout the night? Have you ever had a dream where the story continued from one night to the next? 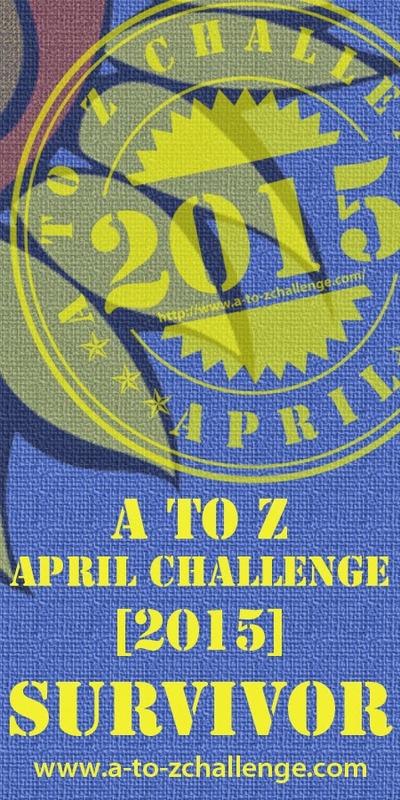 This is one of four blogs that I had entered in the 2015 Blogging from A to Z April Challenge. I have entered four blogs for the past four years. 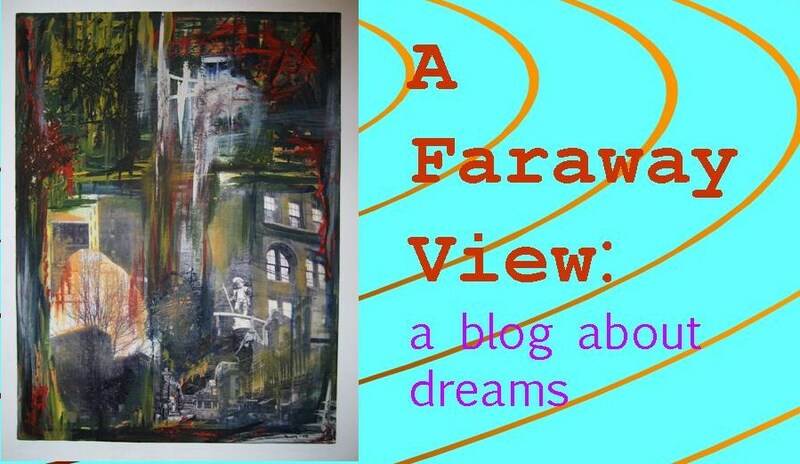 Of all my blogs other than my Tossing It Out blog, A Faraway View showed a performance that was more consistently in line with my normal weekly posts and about the same as the A to Z posts in previous years. In other words, there was neither drastic decline in visits nor any appreciable increase--traffic and comments was essentially business as usual. 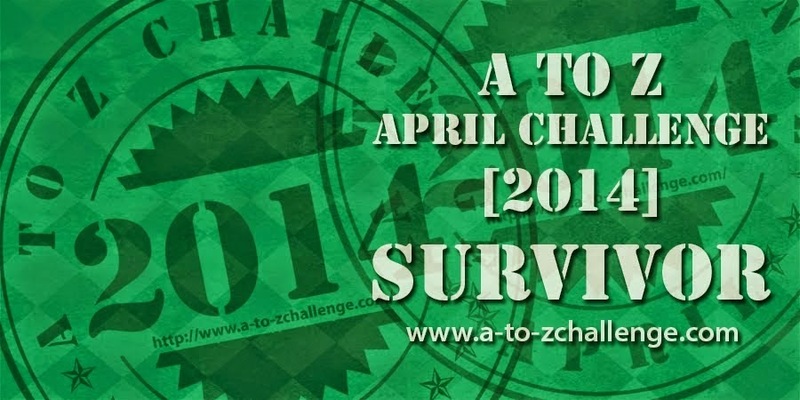 My posts were kept very short as I have done in the past Challenges. The quality of the content of my Elements of Dreams theme was rather decent I thought--I was pleased with the overall series as a whole. The general theme of "Elements of" was one that I used in all of my blogs and where I could I used the same element which made it helpful for me to focus on keeping all four blogs active in a parallel sense. 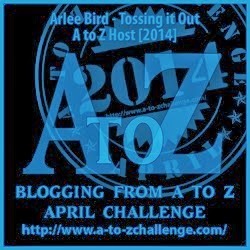 As some others have mentioned on their blogs and in my comments sections, I would agree that this challenge of 2015 is probably the best yet from the standpoint of quality of blog posts presented by a number of bloggers and the smooth operation of the Challenge by the A to Z Team of co-hosts. 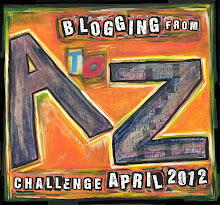 For me each Challenge seems to get easier as I learn new tricks and prepare posts in advance. 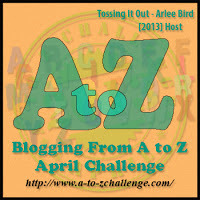 As in the past not all of my posts were completed before the Challenge opened and I was composing some right up to the end, but considering the task of content preparation for four blogs I was not in too bad of shape. 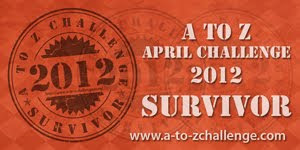 Next year if I can manage completing all posts prior to April, I will be sitting pretty where it comes to networking. So bottom line: Great year, successful Challenge from my standpoint, and congenial visits from a cozy few. My thanks to all of my regular readers as well as to the few new ones who dropped in now and then. I hope you'll come back more often.